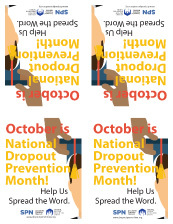 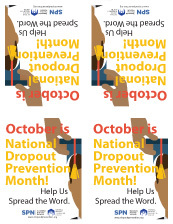 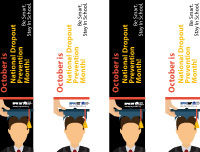 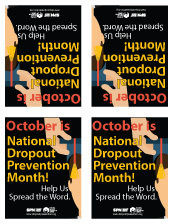 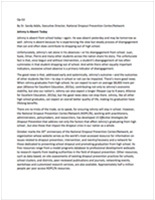 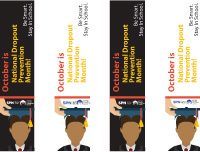 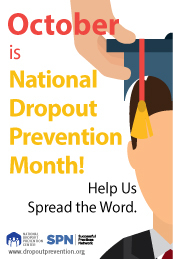 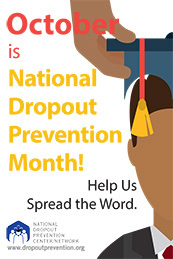 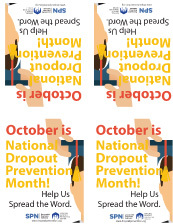 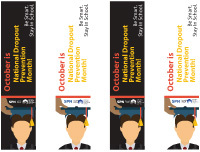 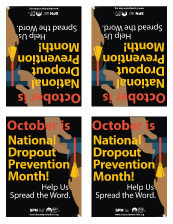 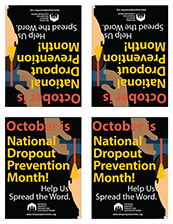 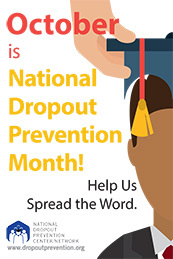 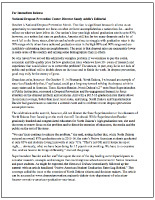 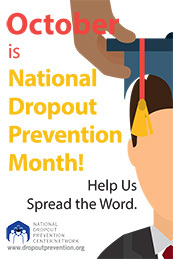 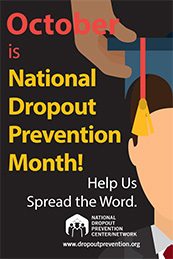 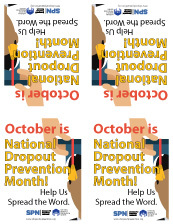 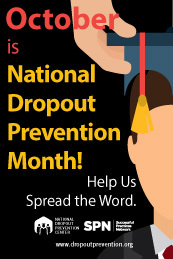 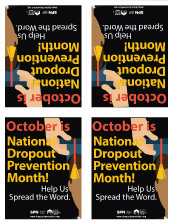 October is National Dropout Prevention Month. 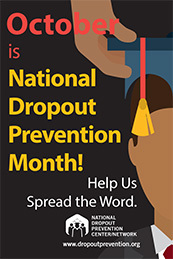 Though the graduation rate has increased nationwide in the last decade, much more needs to be done so that every child has the opportunity for a brighter future that a high school diploma helps ensure. 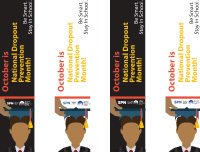 Help us promote school dropout prevention initiatives by publicizing October as National Dropout Prevention Month using any resource below. 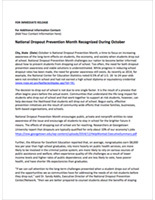 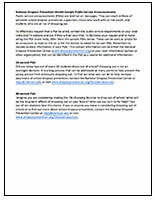 Check back throughout the month for more resources!